When you sublet an apartment, you’re invited into someone else’s world, living among their most cherished things — family photos, trinkets collected in travels, works of art — and using them to piece together a bigger picture of a person you may have only met briefly to exchange keys and a rent check. I’m subletting a place in Brooklyn for a couple of months, the one-bedroom apartment of a photographer. Her work is beautiful, and I’m struck by the little things she chose to adorn the walls of her home. As I stand at the kitchen sink doing dishes, I look at this little figure of a girl, standing in the sunlight of a sliver of a window above the stove. 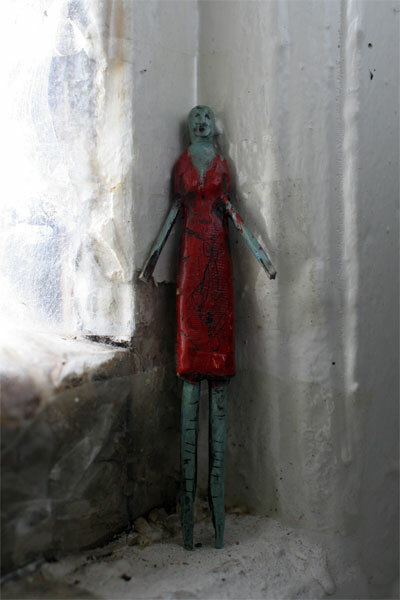 I’m sure there’s a story behind this little piece of folk art, and its brethren on other walls in the flat. Maybe the apartment’s owner will tell me when I return her keys to her.